Today's bit of cuteness comes to you courtesy of Miss Zee. The designer of the book Gee is a blogger who I came across way back in those halcyon days when bloggers routinely looked at and commented on other blogs. I recall telling her on twitter that I wish I had a child so that I could buy this book and she, being the awesome person she is, offered to send me the book! 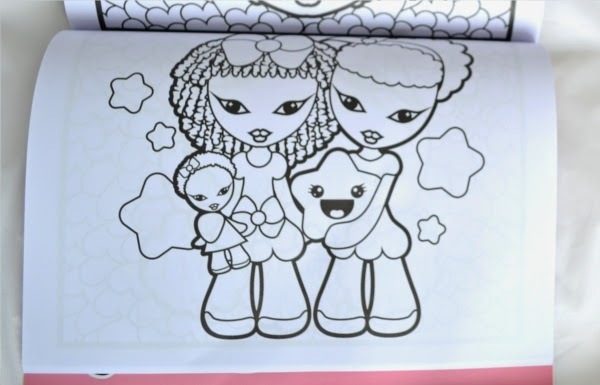 It really is so cute, full of positive happy imagery and all kinds of natural hairstyles on the girls pictured. 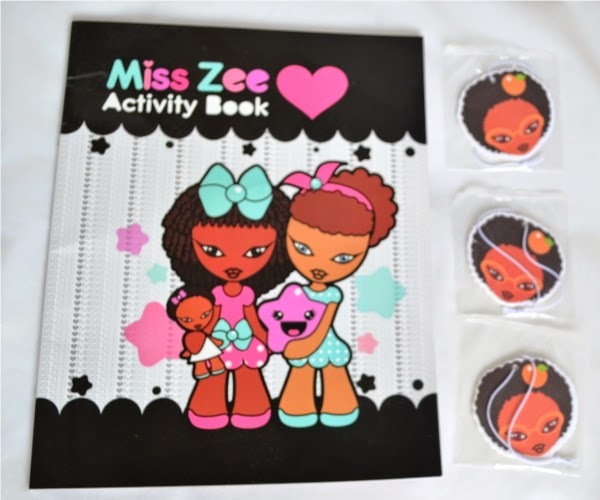 There are also stickers at the back of the book and tags which altogether are bound to keep your child busy as a bee! Once your child can read simple phrases, this book is truly something they should experience. If they cannot read yet but like drawing and colouring, then you can do the reading part (there really is not much! just a few places where there are instructions).